Back in 2001 Nas announced he would be releasing an album called Stillmatic and hip hop fans everywhere hoped that this would be the album to finally bring Nas back to his Illmatic form. Some of the ingredients from Illmatic were in place, Nas had once again enlisted DJ Premier, Large Professor and LES to supply beats. All of whom had laid down tracks for the original and undisputed classic Illmatic. However unlike Illmatic there was no sign of the other legendary producer who had contributed to the 1994 classic; Pete Rock. Fans eagerly awaited the album hoping that it would satisfy, refusing to be pessimistic after the lacklustre Nastradamus. Thats the thing with Nas hip hop fans always fall into the track of hoping he'll drop another classic but often the best we get is a decent 12" or two before being subjected to some Salaam Remi or even worse Trackmasterz. Needless to say Nas did his usual trick and gave us an album with a few dope tunes but essentially another disappointment. The dope tunes however where very dope indeed. Large Pro gave us a couple of his dopest beats for years with You're the Man and Rewind which coupled with inventive rhymes from Nas made these tracks as memorable as some of their previous collaborations. DJ Premier however really changed his style for the track that he contributed. Around the time of this release Premier had been releasing tracks that although very dope had all been a little similar in style and tempo. But as with Devin the Dude's Doobie Ashtray the previous year Premier slowed things down for the beat behind 2nd Childhood. Premier took the opening to Peabo Bryson and Roberta Flack's Born to Love from the album of the same name released in 1983. Premier chops it up expertly using the opening bars to create the basis of 2nd Childhood, throw in a few signature Premier scratches and we have another Nas Premier classic. The original Peabo and Roberta song was produced by Peabo and released on Capitol Records. 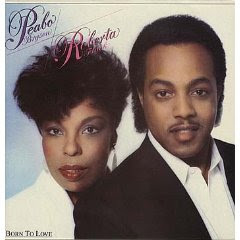 It is a classic early 80's soul duet complete with cheesy bass riffs and harmonizing melodies from Peabo and Roberta. To some extents its a bit of a cliche but its done so well its hard not to like it. Premier uses it to create a darker track matching Nas's tales of people finding it hard to let go of their youth despite everyone around them moving on. Lyrically this is a poignant track where Nas strays away from his Escobar persona to show some depth. 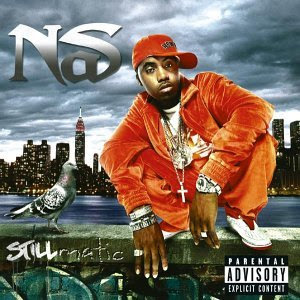 Easily the best track from Stillmatic which apart from the Large Pro track was another disappointment. I wonder if that Nas and Premier album will ever really happen? I guess it'll drop just after the Ghost and Doom project. Check the track, the instrumental and the sample below. I'm in my second childhood.